The Santurban Paramo is located in the Norte de Santander department (72%) and the Santander department (28%), spanning 150,000 hectares (approximately 370 acres), between 2,300 and 4,290 meters (between approximately 7,546 and 14,075 feet) above sea level. 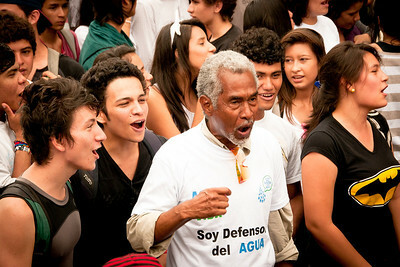 Santurban’s primary environmental service is providing water. The mining industry in the Santurban municipalities is hundreds of years old. Cottage industry mining began when the conquistadors arrived. 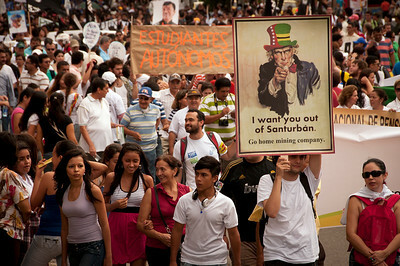 Large multinational companies appeared in the Paramo two decades ago. 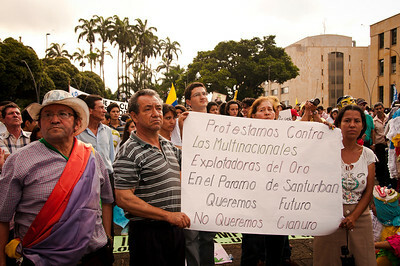 The campaign in defense of water and against the large mining industry began in 2010 when the Canadian mining company Greystar (now Eco Oro) initiated a surface mining project in the Santurban Paramo. 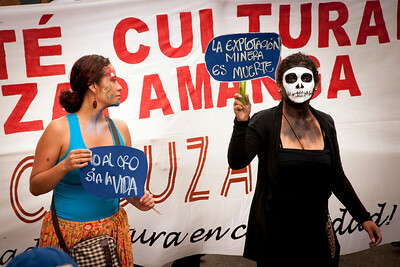 In 2011, because of the Santander citizen mobilization and national mobilization in defense of the Paramo, the government did not approve the large strip mining project. In January 2013, one tenth of the Paramo (11,700 of the 150,000 hectares) was declared the Regional Park of Santurban Paramo, which would be protected from every kind of mining or agricultural activity. 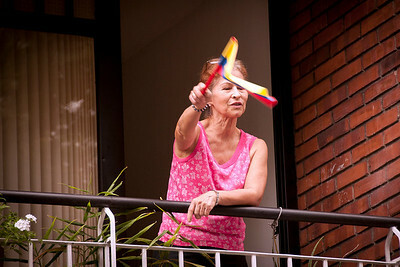 However, this means that right now a large part of the Paramo continues to be unprotected. 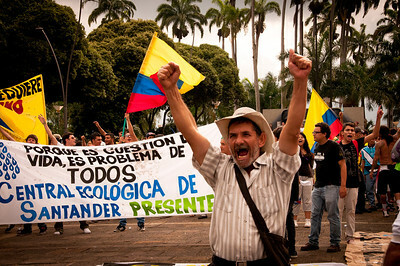 The Luis Carlos Pérez Lawyers’ Collective has followed up with the mining industry and environmental authority and they issued a report in 2012 that names approximately 60 mining title deedsrepresenting a little more than 21,000 hectares, says Collective member, Judith Maldonado. 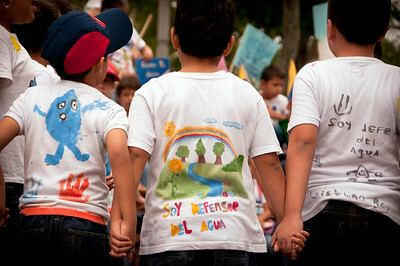 The environmental deterioration caused by the mining industry is already evident in many regions of Colombia. Mining minerals such as gold typically requires highly toxic products like cyanide, which pollutes the soil and the water sources. 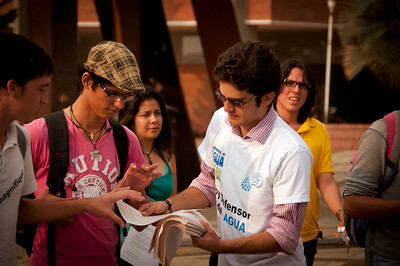 The water and Paramo campaign has received attention fromvarious business sectors in the Santander department for one simple reason, according to Florentino Rodríguez of the Citizen Awareness Movement: “The water concerns everyone because it is essential to life and to a region’s development.”Many university movements have also joined the campaigns. 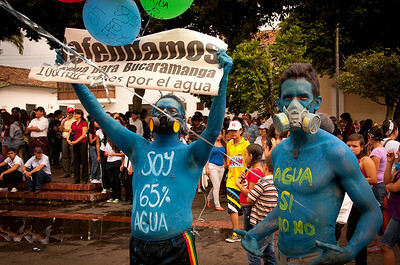 Thousands of Santander residents and Colombians from many different backgrounds, social movements, and political movements attended the “100 Thousand Voices in Defense of Water” protest on March 15. 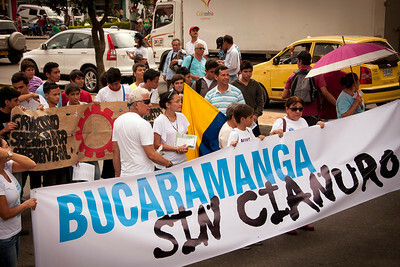 The campaign has overwhelming support from the Bucaramanga citizens. 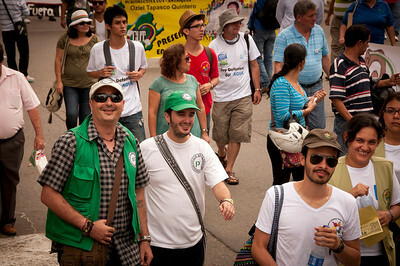 During the protest, PBI accompanied the Luis Carlos Pérez Lawyers’ Collective, which is part of the Committee for the Defense of Water and the Santurban Paramo.